Systems immunology, genomics, immune repertoire sequencing, single cell analysis, bioinformatics, infection, autoimmune diseases, and cancer. 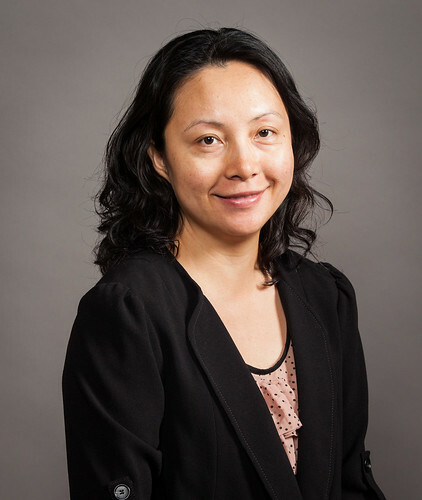 Professor Jenny Jiang's research is focused on systems immunology. A dysfunctional or dysregulated immune system not only fails to offer protection, it can also introduce unnecessary immune responses such as allergies or autoimmune diseases. The key to immune modulation and engineering and regenerative medicine is to understand how the normal immune system works. However, a full understanding of the complex interactions among immune cells and between immune cells and cytokines and chemokines requires a quantitative and systems approach. Using high-throughput sequencing and single-cell analysis in combination with quantitative analysis, Professor Jiang is interested in answering the following questions: How does the immune system develop and age? What are the molecular signatures of autoimmune diseases? Why does the immune system tolerate tumors? Jia Q., Zhou J., Chen G., Shi Y., Yu H., Guan P., Lin R., Jiang N., Yu P., Li Q.J., Wan Y., "Diversity Index of Mucosal Resident T Lymphocyte Repertoire Predicts Clinical Prognosis in Gastric Cancer", OncoImmunology, 2015 Jan 22;4(4):e1001230. eCollection 2015. PMID: 26137399 PMCID: PMC4485732. Wong Y., Jiang N., Ebert P., Kidd B.A., Müller S., Lund P.J., Juang J., Adachi K., Tse T., Birnbaum M.E., Newell E.W., Wilson, D.M., Grotenbreg G.M., Valitutti S., Quake S.R., Davis M.M., "Clonal Deletion Prunes, but does not Eliminate Self-Specific αβ CD8+ T Lymphocytes". Immunity, 2015 May 19;42(5):929-941. PMID: 25992863 PMC: 4455602. Jiang N., Zhang S., Ma K., "A ID Card for T cells". Nat Biotechnol., 2014 Jul;32(7):639-40. PMID: 25004230. Li J., Wu D., Jiang N., Zhuang Y., "Combined deletion of Id2 and Id3 genes reveals multiple roles for E proteins in invariant NKT cell development and expansion". J. Immunol., 2013 Nov 15;191(10):5052-64. PMID: 24123680 PMC: 3837387. Zhang Y., Jiang N., Klopocki A.G., McEver R.P., Zhu C., "P-selectin glycoprotein ligand-1 forms dimeric interactions with E-selectin but monomeric interactions with L-selectin on cell surfaces." PLOS ONE, 2013;8(2):e57202. Epub 2013 Feb 25. PMID: 23451187 PMCID: PMC3581448. Jiang N., Weinstein J.A., Penland L., White R.A. III, Fisher D.S., Quake S.R., “Determinism and stochasticity during maturation of the zebrafish antibody repertoire.” Proc Natl Acad Sci U S A., 2011 Mar 29;108(13):5348-53. Huang J., Zarnitsyna V.I., Liu B., Edwards L.J., Jiang N., Evavold BD, Zhu C., “The kinetics of two-dimensional TCR and pMHC interactions determine T-cell responsiveness,” Nature, 2010; 464(7290):932-6. Kim J.V., Jiang N., Tadokoro C.E., Liu L., Ransohoff R.M., Lafaille J.J., Dustin M.L., “Two-photon laser scanning microscopy imaging of intact spinal cord and cerebral cortex reveals requirement for CXCR6 and neuroinflammation in immune cell infiltration of cortical injury sites,” J. Immunol. Methods 2010; 352(1-2):89-100. Weinstein J.A. *, Jiang N. *, White R.A. III, Fisher D.S., Quake S.R., “High-throughput Sequencing of the Zebrafish Antibody Repertoire,” Science, 2009; 324(5928):807-10. *These authors contributed equally. Wasserman, H.A., Beal C.D., Zhang, Y., Jiang, N., Zhu, C., Evavold, B.D. “MHC variant peptide-mediated anergy of encephalitogenic T cells requires SHP-1,” J. Immunol., 2008;181(10):6843-6849. Chien, Y., Jiang, N., Li, F., Zhang, F., Zhu, C., Leckband, D. “Two Stage Cadherin Kinetics Require Multiple Extracellular Domains but Not the Cytoplasmic Region,” J. Biol. Chem., 2008; 283: 1848-1856. Li, P.*, Jiang, N.*, Nagarajan, S., Wohlhueter, R., Selvaraj, P., Zhu, C. “Affinity and Kinetic Analysis of FcÎ³ Receptor IIIa (CD16a) Binding to IgG Ligands,” J. Biol. Chem., 2007; 282: 6210-6221. *These authors contributed equally. Long, M., Chen, J., Jiang, N., Selvaraj, P., McEver, R.P., Zhu, C. “Probabilistic Modeling of Rosette Formation,” Biophys. J., 2006; 91: 352-363.